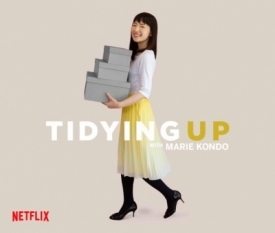 In her book “The Life-Changing Magic of Tidying Up,” Kondo discusses how tidying up— much like cleaning — is a self-taught exercise. Image from Kondo’s website: https://konmari.com. It doesn’t take much looking to see the parallels between our industry, the professional cleaning and hygiene industry, and how Kondo has built her empire. She’s found a way for people to find order and develop a system for “maintaining” their home, just as a cleaning operation is designed to do within a commercial building, such as a school, hospital or office. Similar to the “tidying up” movement, a lot of people in the professional cleaning industry are self-taught because we also operate on the notion that cleaning is a skill that is picked up naturally or through experience. Like Kondo, our founder, John Walker, recognized the issue with this approach. Because people lacked the proper training, they were not often able to truly clean in a way that led to cleaner, safer and healthier facilities. That’s why he developed (OS1), a scientifically engineered approach to cleaning. This system helps provide a system for cleaning and maintaining a building. Conduct an audit/inventory of the home’s material possessions Conduct a baseline audit of the custodial program. This includes: inventory of custodial supplies & equipment; observations of cleaning processes; detailed cost analysis of labor/product usage; training and education program; scheduled cleaning services; and HAZCOM risk assessment. 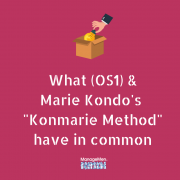 Teach the KonMarie method Teach the (OS1) process through events like Janitor University, Train the Trainer, (OS1) Boot Camp and (OS1) specialist certifications. Help clients understand that tidying up is not a chore but a mindset. Help custodial operations understand the importance of janitors and that they be treated as first-class citizens. Work with homeowners to implement the KonMarie method and begin purging the home of unnecessary material items Set up a pilot building within the facility to begin rolling out the (OS1) system. Roll out the Konmarie method over the next month Continue tactically rolling out the (OS1) system based upon a successful pilot. Create repeatable outcomes and over the next several months/years scale to additional buildings within the operation. Follow-up with client Ongoing benchmarking of best practices with other (OS1) users through an annual symposium. Participate in annual progress audits to document milestones, troubleshoot issues. Take a look at your custodial closet. Is it filled bottles of cleaning chemicals made by companies that aren’t even in business anymore? Do you have pieces of broken equipment collecting dust in the corner? Do you know what tasks are being performed every single day? Do you spend your day handling complaints and putting out fires? Is your staff’s morale perpetually low? If so, it could mean your custodial department is ready for a little tidying up too. https://managemen.com/wp-content/uploads/2019/02/os1-and-konmarie-BLOG.png 800 800 Andi Curry https://managemen.com/wp-content/uploads/2015/06/ManageMen-trans.png Andi Curry2019-02-07 18:00:572019-02-07 20:34:43(OS1): What a Professional Cleaning Operation Uses to "Tidy Up"